Welcome home to this large 4 bedroom twin in beautiful Spring City. 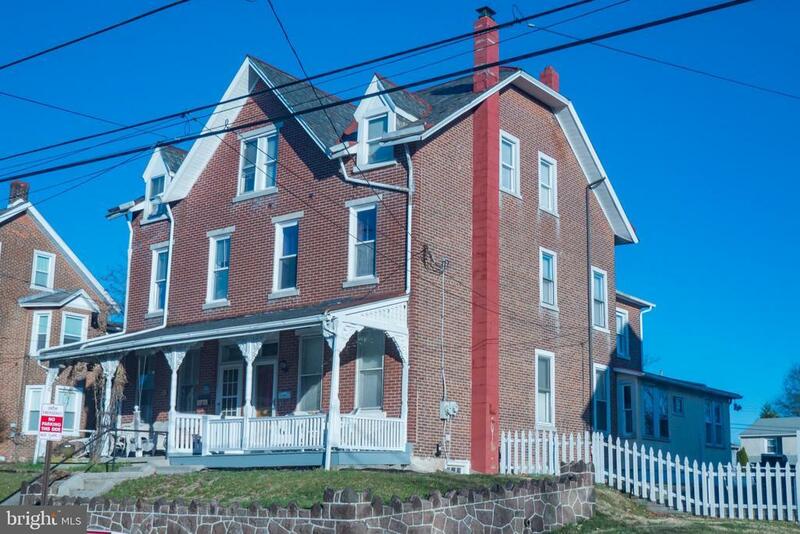 2, 000+ square feet on three floors in the award winning Spring-Ford School District!! The charming front porch welcomes you into the spacious first floor which offers hardwood floors, high ceilings & lots of natural light! Passing through the well-appointed kitchen you are lead to newly fenced in yard that has plenty of room to garden and entertain guests in the coming summer months. The second level offers two nice sized bedrooms with a Victorian style bathroom that is simply gorgeous! The third level completes this home nicely with two spacious bedrooms. Alley access provides for 3 off street parking spaces and there are always additional spots available in the front. Location, Location, Location! Just down the street from a local community park, community pool, downtown Spring City & Royersford, not to mention being a short ride from the bustling activities in downtown Phoenixville! Being close to 422 and other major highways provides for an easy commute. This is a great home for first time home buyers, investment rental or someone looking to be close to all of the new restaurants, shopping and activities the area has to offer. This home is a MUST SEE! !